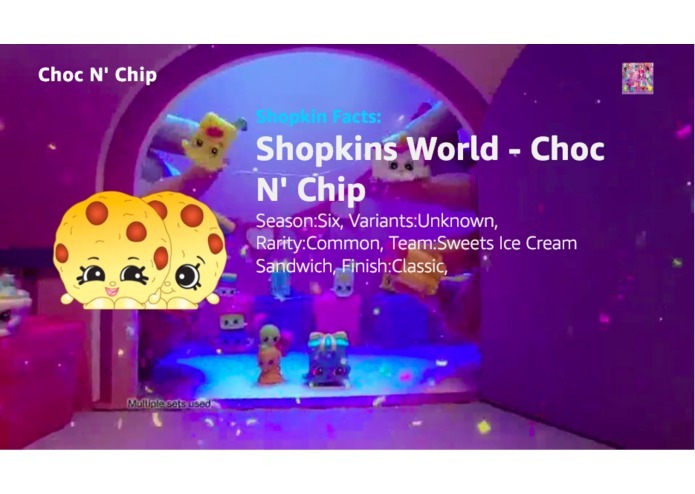 With all of us in the team with kids around the same age and constant discussion of shopkins meant this was no brainer. 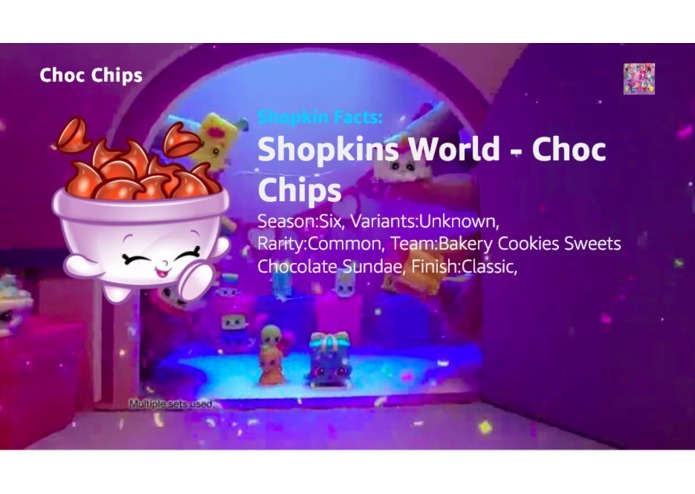 It searches websites for shopkins on all wiki sites. 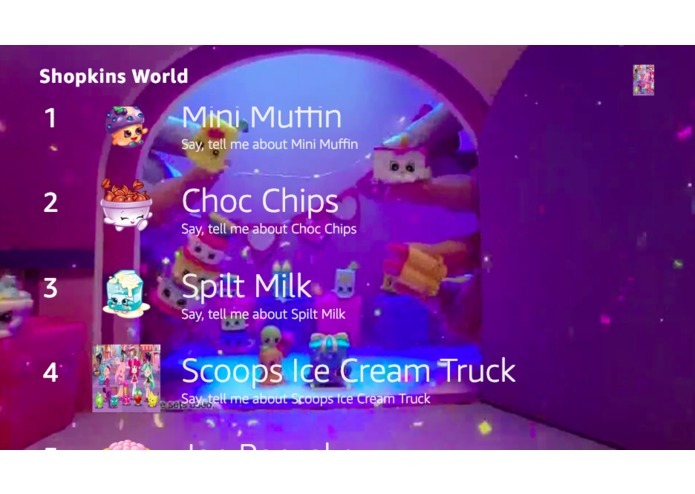 Once a search matches the user’s query then the website is parsed dynamically at runtime and voice content is created on the fly along with any image or video source (If available to display on devices with screens). 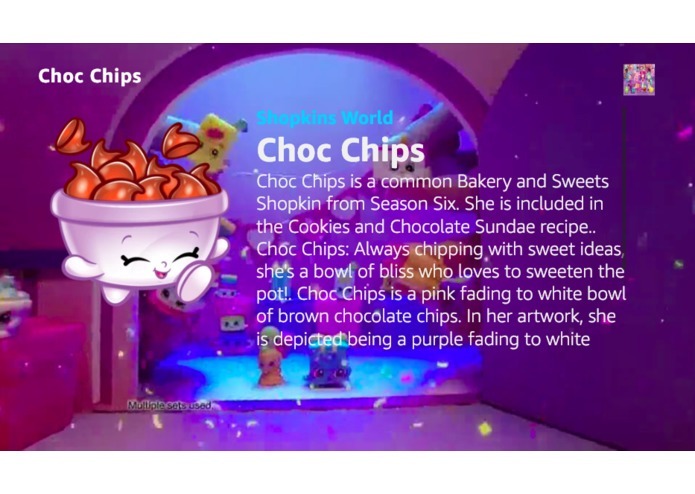 This gives us access to almost any shopkins ever made. The biggest challenge was getting the skill approved. For some reason our skill stayed in certification for the whole month, which is a lot longer than expected. 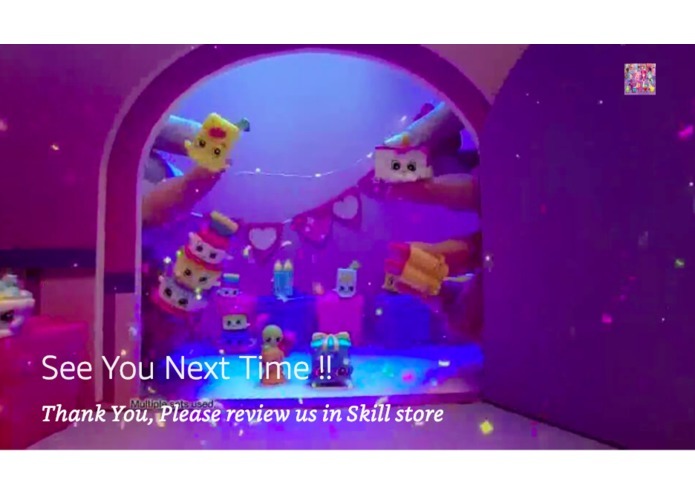 By trying to launch the skill earlier, we were really looking for some user's feedback before we submit the form. We already had all other nuts and bolts in place from our other skills, so technically we were almost ready once we got the approval that this is what we are going to build. It's the first time we used elasticsearch as an AI engine. We primarily use it for our analytics. With this skill elasticsearch is no longer a passive system but it participates actively in providing content for the skills. The biggest learning is to not trust certification timeline and prepare as early as possible. Also our video making process has improved so hopefully we can use it to promote our skills in future using this powerful medium. I worked with the voice design and helped with testing to ensure the results are what we expected.